The ELF EMF/EMR Blocking YSHILD MCL61 Foil is a cheap why to block and divert ELF(Extreme Low Frequency) EMF/EMR(Electromagnetic Fields/Electromagnetic Radiation). Similar to Mu-Metal, it is lighter and wider. Grounding: with special kit if needs to block electric field. In order to block ELF EMF/EMR fields efficiently either the ELF source should be completely covered or the ELF blocking material should be applied to create a large blocking surface (since ELF magnetic fields tends to work their way around obstetrical). May need several layers to block all ELF. Does not block all the ELF magnetic field. 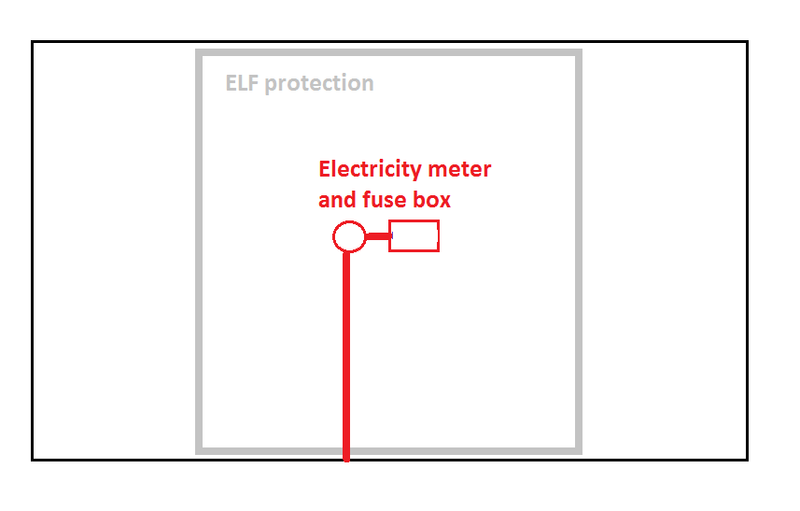 If needed, attached a second layer of the ELF EMF/EMR Blocking YSHIELD MCL61 Foil . Use the grounding kit to ground the film for better performance.